Day 12 of our trip was another wet and rainy day. Cyclone Gita had passed by the country, but we were still getting some lingering rain from the storm. 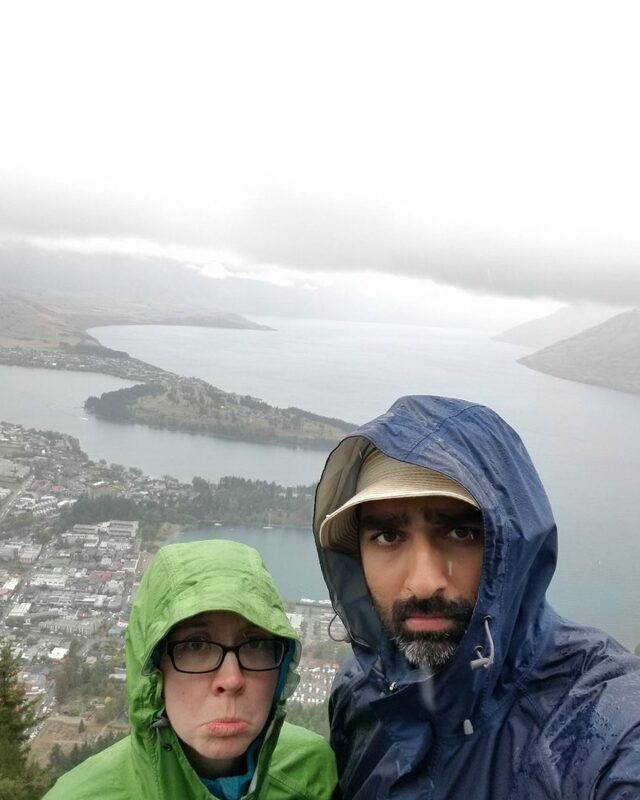 It was only 3.5 hours driving to Queenstown from Curio Bay, but the entire trip was done in the rain, so we did not stop too many times to enjoy the view. 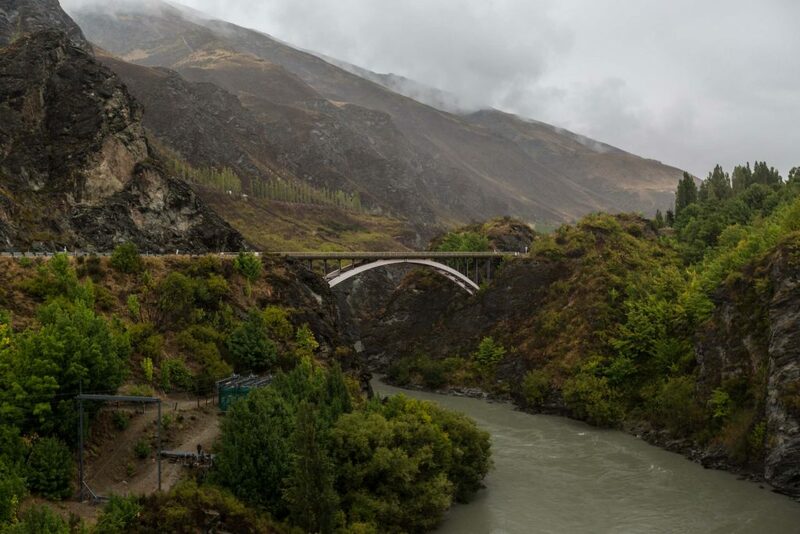 However, the entire area around Queenstown is beautiful and reminded us very much of Banff and Kelowna. 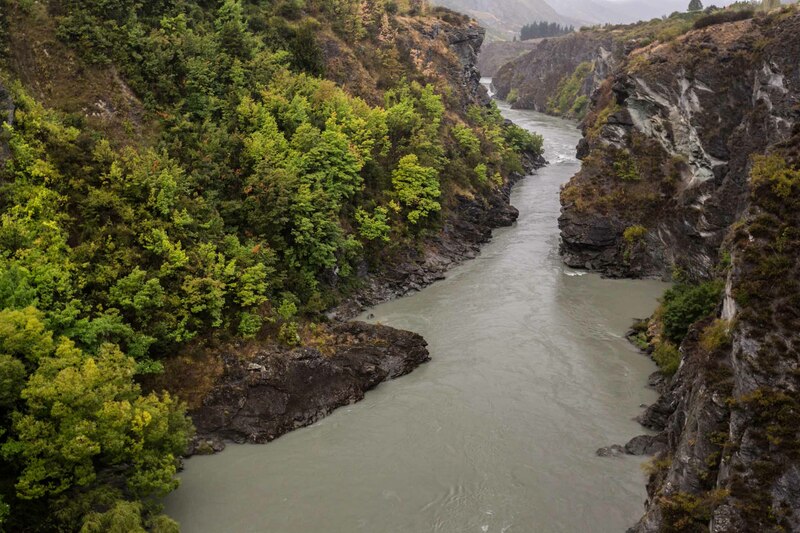 It is a very touristy town, but there are a lot of things to do in the area. 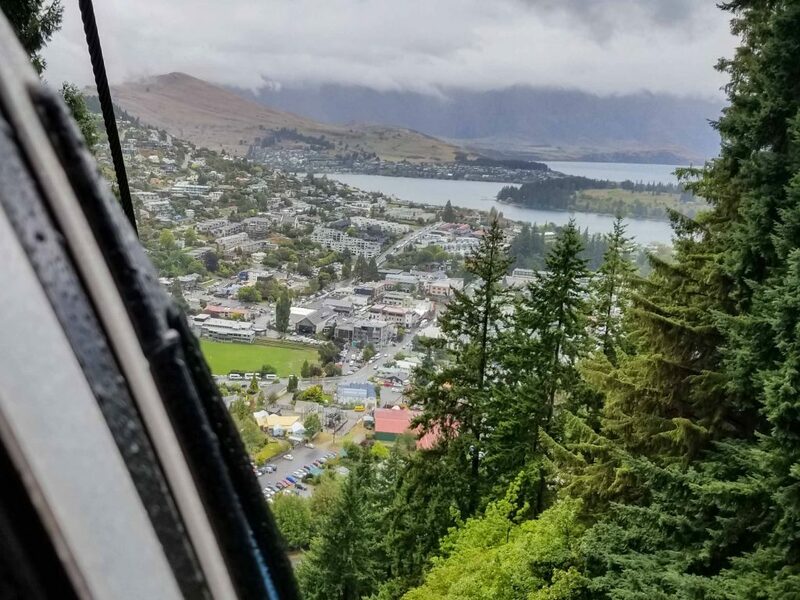 After grabbing lunch we made our way up the Queenstown gondola and rode the Skyline Luge track 3 times. Jess was still recovering from her head cold, and Sunny was in the worst of his, so after the luge ride we made our way to the Millbrook Resort where we ordered room service and got as much rest as we could. 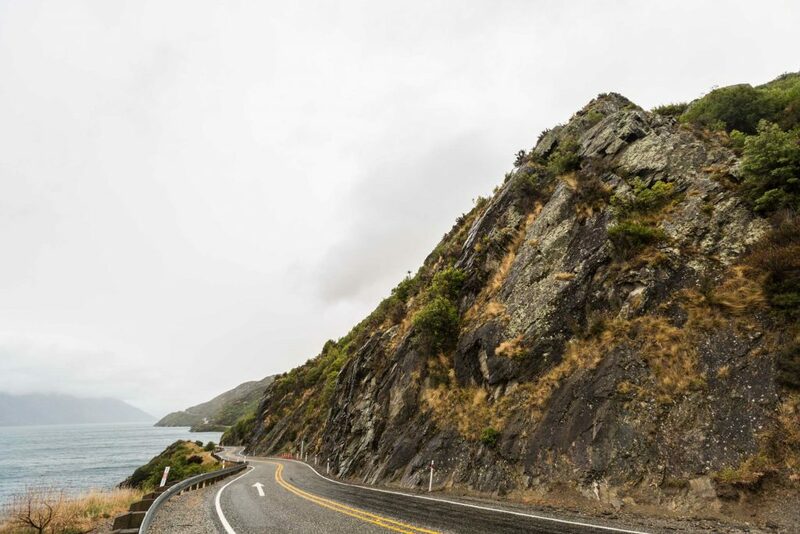 The Queenstown area is definitely a spot we want to explore more the next time we are in New Zealand! 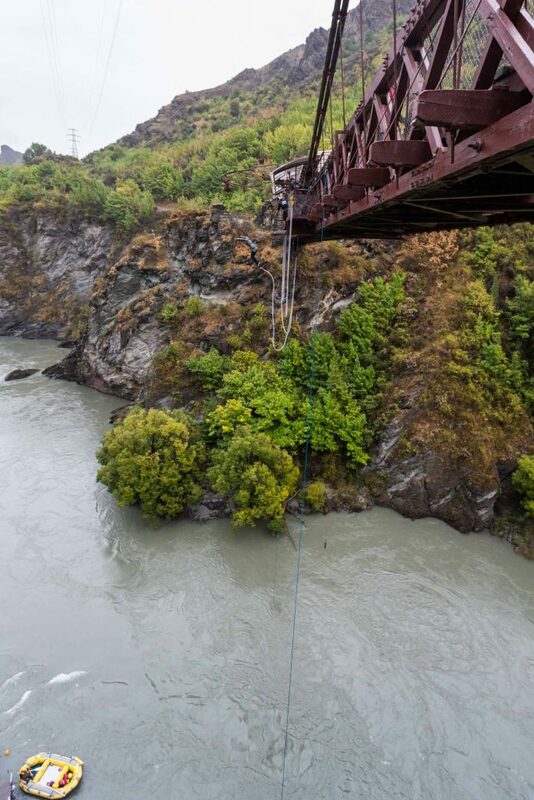 Kawarau Gorge Suspension Bridge – The original bungy jumping bridge! 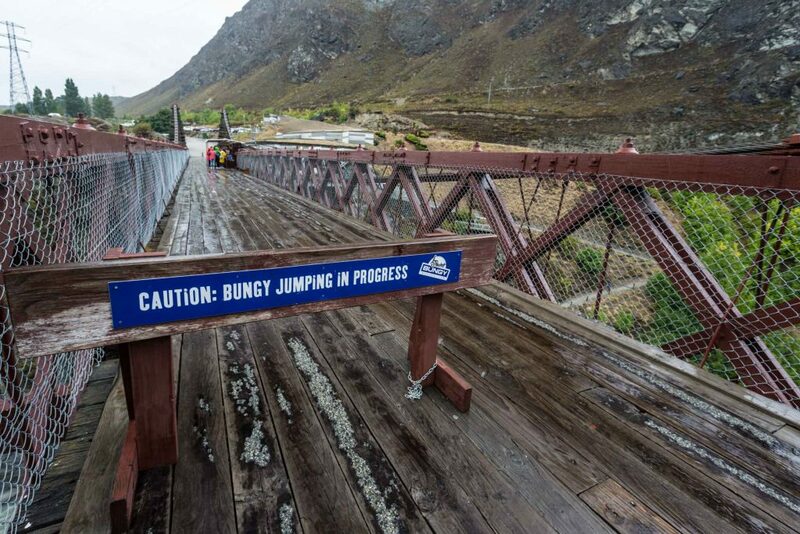 Another wet & rainy day in New Zealand! 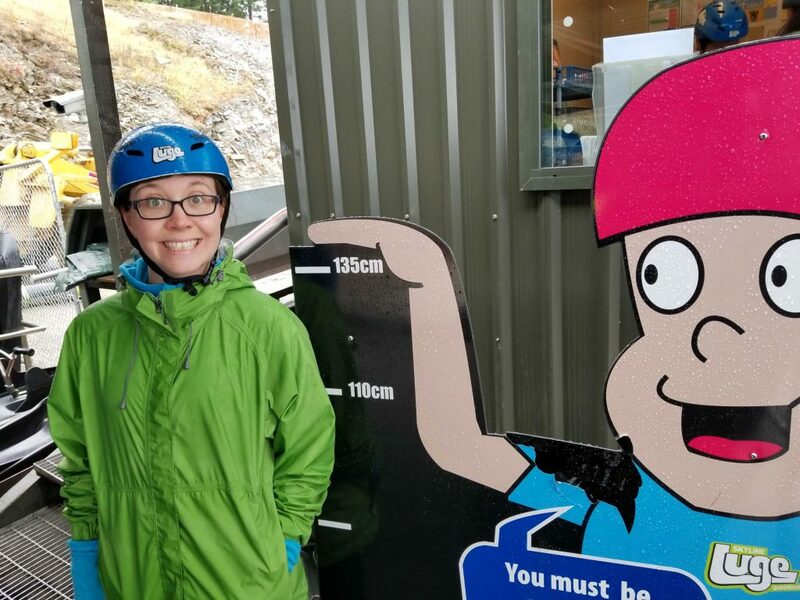 Queenstown luge – Jess was tall enough to take the fast track!